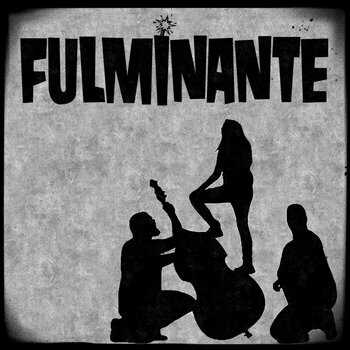 Formed in 2015, Santa Cruz, California's Fulminante has been making noise in the Bay Area and beyond. The powerful trio is comprised of guitarist/vocalist Brenda Martinez, upright bassist/vocalist Paul Raney and drummer/vocalist Josue Monroy. The party started when Brenda, a Los Angeles native, sought to play music along the veins of Manu Chao and Gogol Bordello and was looking for like minded musicians. Paul and Josue, who had played together in another project previously, answered the call and the rest is history. The band's sound incorporates punk, rockabilly, ska, twangy blues rock, as well as Latin influences to form a bombastic mix that will keep you moving. In 2018 they released their self titled debut album, produced and recorded by Olav Tabatabai at Noise Eater recordings in Santa Cruz, Ca. The album represents the bands energetic song writing and musical diversity. It consist of 10 tracks full of fun, upbeat Rock N' Roll with a little something for everyone! Opening for Metalachi at the main stage at the Catalyst Club in Santa Cruz, CA back in April 2018!